We don't have a price list - we quote when we know the list of items you want and quantities. 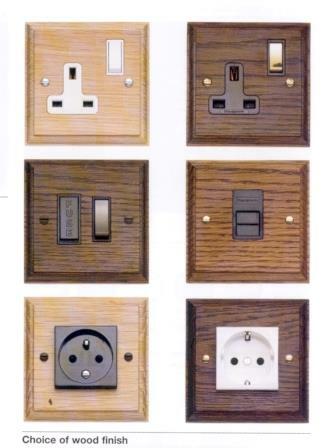 These socket faceplates aren't strictly speaking Art Deco in style, but their period look & finish would allow them to fit in discreetly to a Deco interior scheme, especially if similar wood finishes are being used in the scheme. 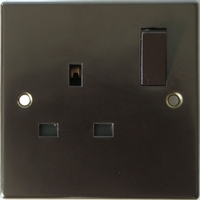 There is a matching range of switches available as well - see bakelite switches page. 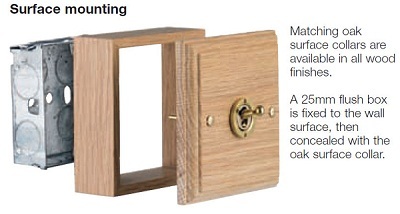 Or you can paint the natural Oak version to match in with your colour scheme. Contact us with your requirements for a quote. The wood pattresses is available in 5 finishes, shown below. 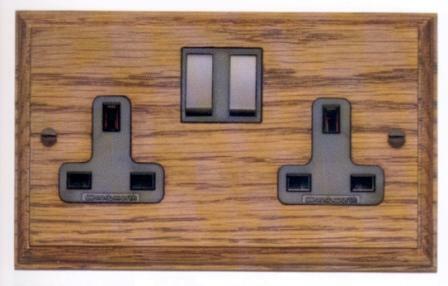 We can also supply these switches with a matching hardwood collar, to fit around a surface mounted 25mm deep socket box. These cab be supplied for single, double, triple & 4 gang switches.